No text will be shown instead of the image in browsers which cannot display images. Opens a dialog where the text can be defined in multiple languages. More information can be found here. 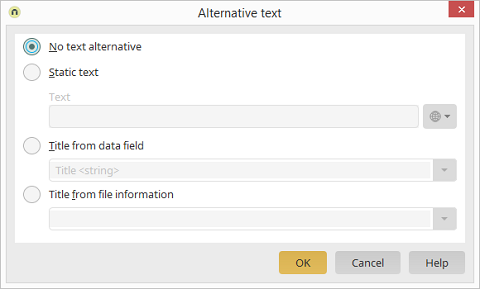 A data field, which provides the text, can be selected here. Uses the file information from the current file, such as the file type, extension, filename, size etc.